Like most men, you will probably never know the exact cause of your below-normal low testosterone levels; but if you want to learn more about the effects of testosterone enanthate injections, then you are undoubtedly familiar with the effects of male hormone deficiency. The symptoms that are caused by this disorder can range from moderate to severe, and from occasional to chronic. But in all cases, the only way to improve and ultimately eliminate the effects of Low T is by using medically prescribed testosterone replacement therapy (TRT). Cause and effect is continually integrated into everyone’s daily lives; at times we are the cause of the things that affect us and at other times, such as when Low T symptoms develop, the cause is out of our control. However, we can control how we respond to the effects of a health issue like testosterone deficiency – and an increasing number of men are choosing to respond to the effects of symptomatic testosterone deficiency by using a doctor prescribed TRT program. Injectable testosterone enanthate is one of the most popular and successful treatments that hormone replacement therapy doctors prescribe for Low T, so it is worth taking a closer look at what doctors know about its efficacy. We will do that; and we will also look at what doctors know about its possible side effects because even though it is a bio-identical hormonal substance, it is a powerful substance and the effects of testosterone enanthate usage have the potential to be adverse if it is not being used in the correct manner. 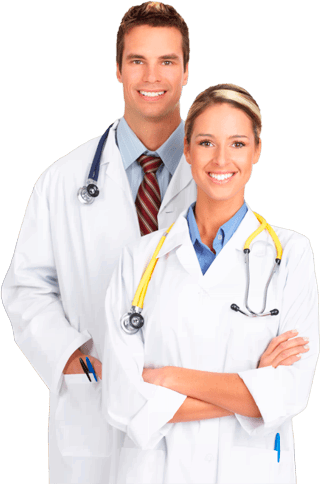 You will benefit from having an objective viewpoint, provided for you here by Nexel Medical, from which you can make an informed decision about getting medical treatment for your Low T symptoms, as well as about what form of treatment you would prefer to use. This is not a look inside the illegal use of testosterone and other controlled substances by competitive bodybuilders and professional athletes; those types of users are not using substances such as testosterone enanthate for their medically and pharmaceutically intended therapeutic purposes. The overall health effect that doctor prescribed TRT programs provide to patients is that they reverse the adverse physiological effects that are directly caused by testosterone loss. Otherwise referred to as Low T symptoms, these effects include low energy and chronic fatigue; the loss of the desire for sexual intimacy; erectile dysfunction; reduced muscle tone and mass; the loss of bone density; decreased metabolic function; reductions in cognitive function; and emotional instability, often evidenced by episodes of depression and/or anxiety. They also benefit from the reduced risk for certain degenerative health conditions, such as osteoporosis and heart disease. However, it must be pointed out that these documented results exclusively apply to the medically prescribed and supervised use of TRT. They cannot be applied to the effects of testosterone enanthate injections that are being obtained illegally and used without the appropriate clinical testing, authorization and monitoring. In looking at the use of TRT for the health enhancement of adults with clinically verified male hormone deficiencies, which is the purpose for which our doctors at Nexel Medical prescribe it, testosterone offers patients substantial benefits and low risks. This is one of the benchmarks that is evaluated in all forms of medical treatments and TRT doctors confidently prescribe injectable testosterone enanthate treatments knowing that it is effective and safe for their patients to use. All substances used in medical treatment have possible side effects associated with them, ranging from extremely mild (as in a brief headache) to extremely severe (as in the various side effects from chemotherapy drugs). So where do the potential side effects of testosterone enanthate fall within this range? Let’s start by addressing the one that most men have heard about and whether it is fact or fiction: Cardiovascular complications. Does using any of the various forms of testosterone therapy increase the patient’s risk for stroke, blood clots or any other type of cardiovascular health issue? To date, there have been a number of randomized clinical trials performed in regard to this issue and the findings have been inclusive. While this does mean that no risk exists, it does indicate that in its decades of medical usage, TRT has not been shown to cause an undue risk for the future development of cardiovascular events. The possible side effects of testosterone enanthate that patients will see listed on the packaging that accompanies their prescribed treatments typically include mild effects such as temporary headache and pain or discomfort at the injections site; moderate effects such as nausea and acne; and more serious effects such as an allergic reaction to ingredients included in the composition of the medication. In all cases, if side effects occur, they can usually be quickly and effective resolved by ceasing treatments or reducing the patient’s dosage. The percentage of patients who have reported side effects from the use of medically prescribed TRT programs is statistically very low; most side effects will occur if this substance is being abused by adults who are using it illegally and are therefore more likely to overdose themselves. For adults who are using TRT responsibly and consistently following the protocols of their prescribed programs, the use of testosterone enanthate injections and the other forms of TRT is considered to be low risk while delivering substantial relief from Low T symptoms. Looking for Local Testosterone Therapy Doctors? Here We Are. It is highly likely that many more men in the US who have developed Low T symptoms would be interested in experiencing the beneficial effects of testosterone enanthate injections if they had local access to the type of medical doctors who specialize in prescribing TRT. While the use of this form of hormone replacement therapy by US men has been rising steadily over the past few decades, there are still many men who don’t feel that they just don’t have the time to fit testing and treatment for their Low T symptoms into their normal routines. But maybe they haven’t heard about Nexel Medical and our locally based TRT procedures – and that means locally based in all 50 states. If you live in the US, you can receive treatment from Nexel Medical’s experienced and fully licensed TRT doctors right in your own local area. Our innovative process is accessible to you through our website, where you can contact us to schedule a local testosterone blood levels test and medical exam for you. Your results will be transmitted directly to our doctors, who will evaluate them along with your medical history (you can easily submit this to Nexel Medical through our website as well). Upon being diagnosed with adult-onset testosterone deficiency, your Nexel Medical will prescribe the appropriate TRT program for you, based on your own individual requirements for therapy. It is by far the fastest, easiest and most convenient way to experience the many positive effects of testosterone enanthate injections that is available to US adults today. Throughout your medically prescribed program of treatment, our clinical advisors and TRT doctors will always be available to you for answering any questions that you may have and providing personal assistance to you whenever you require it. If you are unfamiliar with the procedures involved in self-administering your treatments, you will find that our video demonstration clearly explains everything that you need to know about preparing and using your injectable treatments. Do you have any additional questions about testosterone enanthate or any other form of TRT? If so, just call or email us and we will be happy to answer them. Our doctors believe that the closer you look at the health advantages offered by Low T therapy, the clearer it will be to you that it is a treatment option that deserves your serious consideration.